1 year ago a pool company replaced my Pentair 1.5hp Whisperflo with a Pentair 1.5 SuperFlo VS and my pool has never been the same. 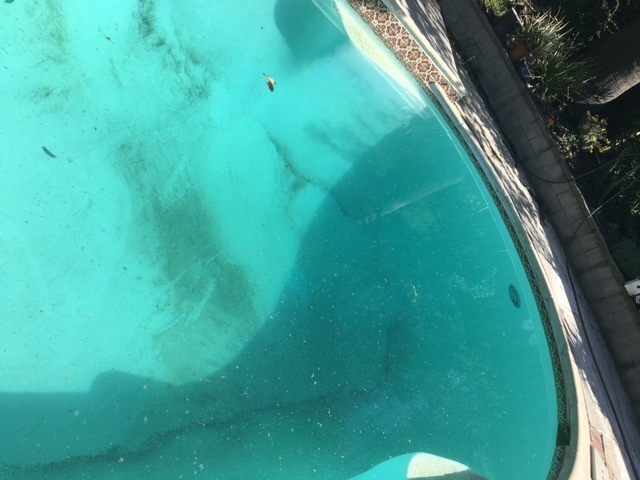 We replaced it in late August so I didnt immediately notice that the pool seemed to be dirtier within hours after the pool maintence company came. When questioned they told me that the motor didnt have the "suction" of the previous pump and therefore it was harder to clean and I suspect they were moving dirt around on the bottom instead of sucking it up. I called the company that installed the pump, they told me it sounded like a problem with the pump motor. I called Pentair and they gave me the run around, but basically refused to do anything...all this while the pump was under warranty.....That was 6 months ago. Recently, I cleaned the hayward DE filter and backwashed the unit (with video instruction) but still very little sucking power. If I put my hand over the intake in the skimmer its sucking but only enough to run the skimmer reasonably. I dont see bubbles in the pump on visual inspection, and no leaks around the rim of the filter either. Hello Piper1 - We'd be glad to assist you. Are you running the pump on full speed? If not, try running it on full speed. If the pump is running on full speed, it's possible the impeller is clogged. A clogged impeller would cause the suction to be weak. We'll need to know a few more things to troubleshoot further. Is the pool water clear? What is the pressure reading on the filter gauge? How many gallons is the pool? Do you know the total feet of head? Let me try to answer all the questions. I just watched how to clean an impeller and tried to perform the cleaning....nothing came out. Honestly, I put my finger in the impeller hole and couldnt feel anything either, Im not sure if with this pump you can access the impeller even with the long metal hanger hook. It could also be user error I certainly tried! Pool water is clear-ish but bottom is dirty. please let me know if I have missed anything....and again thank you. Check out our article titled "How Do I Calculate Feet of Head for My Pool". 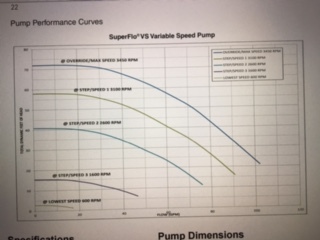 The Superflo VS is a full rated 1.5HP pump with a 1.46 service factor. This means the total HP is 2.2. Normally, this is more than enough for a pool your size (unless the total feet of head is really high). Is the pump strainer full of water or is there a gap between the lid and water? any recommendations for a service person in los angeles area? I live in the 818 area code. One thing that hasn't been mentioned is that since a cartridge filter does not have a backwash valve, it is also the most energy efficient (i.e. lowest head loss) of all three filters. So the energy factor (gallons/watt-hr) will be higher on a cartridge pool.